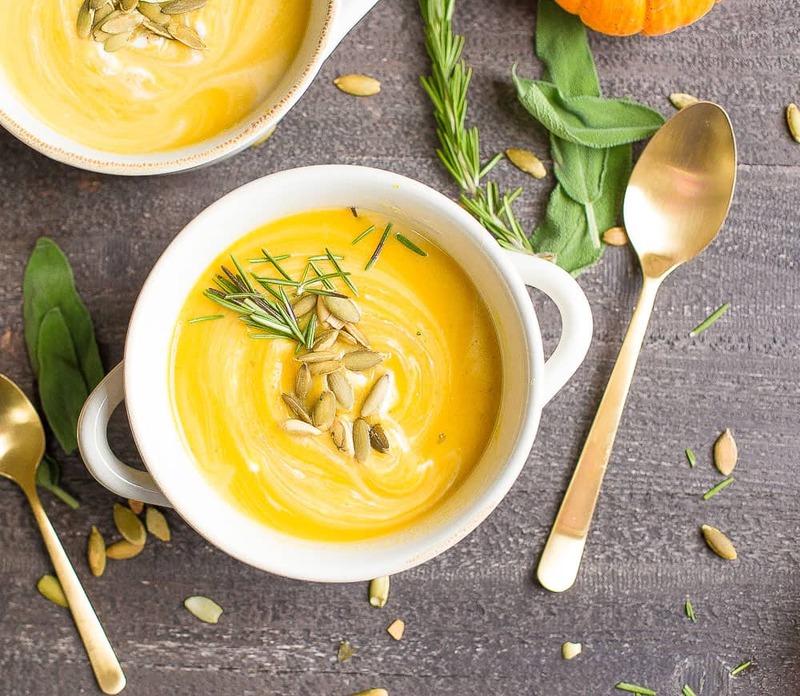 A comforting bowl of fabulously delicious fall flavors! 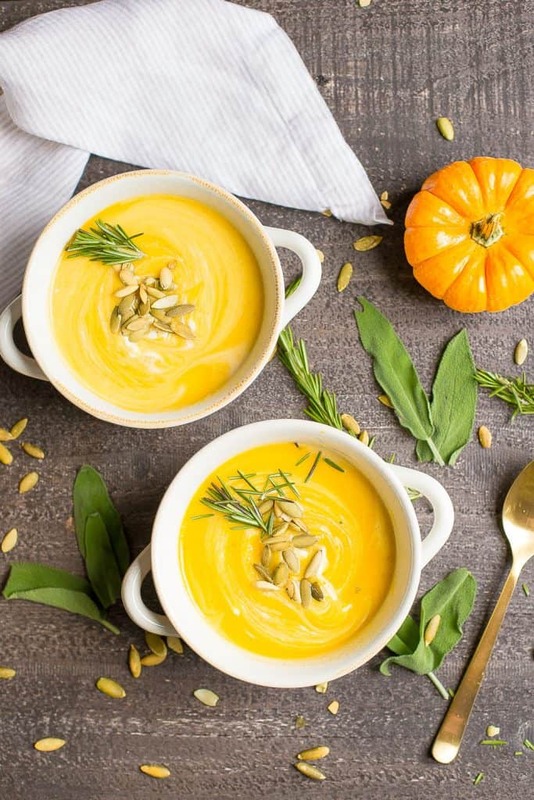 This Pumpkin Butternut Squash Bisque makes a perfect main course, or starter to any fall feast. Perfect for the holidays, too! 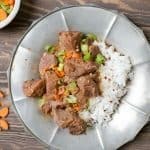 Best part is that you can set it and forget it in the Instant Pot or Slow Cooker. Does anyone else love their trips to Trader Joe’s and look forward to the sample table? I *might* go there just about everyday. It’s one of my happy places. I purposely only buy a small number of groceries so I can visit again the next day. I am one of these weirdos who does love a good grocery store (caveat is that I don’t love ALL grocery stores, but trips to Whole Foods or Trader Joe’s always make me happy). Because really, I go there to taste new foods. The sample table, it’s pretty awesome. So we did. And it was perfect. It took a few tries and tweaking to get it right, but I am super happy with the results! 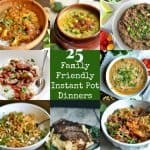 I love this because it’s so easy to throw in the Instant Pot or Slow Cooker. I didn’t even need to roast the vegetables beforehand, just dice everything up! The addition of the apple gives a slight hint of sweetness without being overpowering. It’s definitely a bowl of fall comfort. 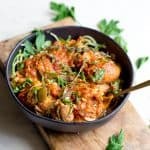 It will make the perfect addition to any meal especially during the holidays, is delicious by itself as a main course, or can be made to enjoy for lunches throughout the week. I garnished with some pumpkin seeds and extra herbs, so good!! Start by preparing your squash and pumpkin. Peel the skin off your butternut squash. Cut in half vertically to remove the seeds. Then cut into 1 inch chunks. For the pumpkin, cut in half and remove the seeds. Continue cutting to carve out the inside flesh of the pumpkin. Cut into chunks. 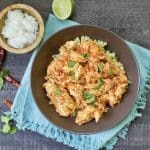 Dump all ingredients except for the coconut milk into your slow cooker. 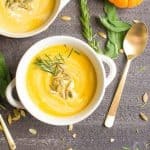 Use an immersion blender to blend the soup into a bisque. You can also use a high powered blender (be sure to vent the top a bit because of the heat). Garnish with pumpkin seeds and fresh herbs. Select the saute function. Add oil to your pot once hot. Now add the onion, and cook for 2-3 minutes, then add the garlic and cook for another 1-2 mins. Add the squash, pumpkin, and apple. Top with broth, vinegar, spices. Secure the lid. Select manual on your instant pot, and cook on high pressure for 14 minutes. Use a natural release for 15 minutes, then release the pressure before opening the lid. Add coconut milk (if using), and blend your soup with an immersion blender or move to a regular blender (venting the top to avoid explosion from the heat). 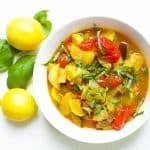 *The amount of broth used will depend on the amount of vegetables you have from the squash and pumpkin. Do a rough estimate when adding to your slow cooker or IP. 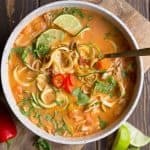 If you have around 8 cups, only use 3 cups broth for a thicker soup (you can always add more broth in the end if it's too thick). If you have around 10 cups, use 4 cups broth. 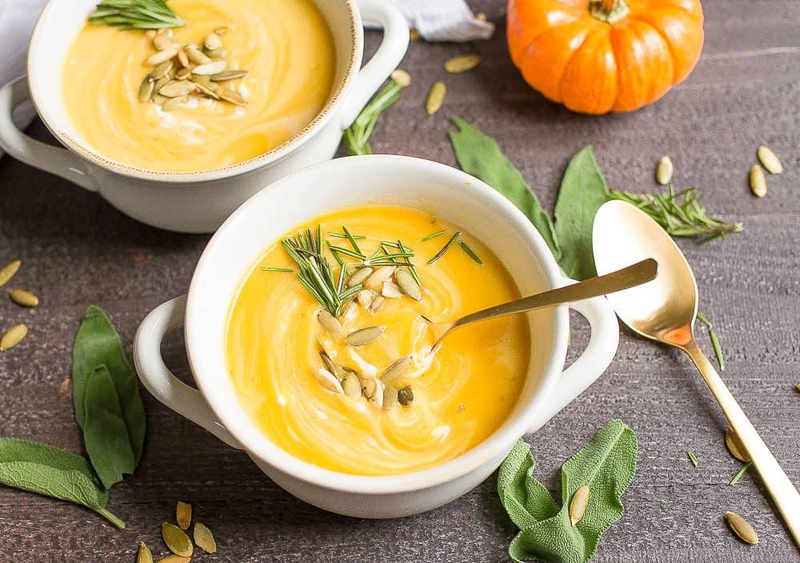 Do you think canned pumpkin would work in this recipe? Yes! I would do 2 cups of canned pumpkin. 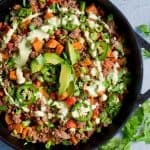 I was super excited to find this recipe! I just made it and am a bit bummed..I think the apple cider vinegar made it taste too acidic so i added more sweet to counter and it didn’t help much. Next time I would do without the apple lr apple cider vinegar and bet it would be amazing! Thanks for the feedback, Pam! I love acidic food, so maybe it’s more of a personal preference and taming it down would work better for you. Thanks for stopping by! Yes, but I would lower the amount of broth by 1 cup.